Canada’s second largest city is getting its tallest condo tower, and now is the time to start getting excited about it. Victoria Sur Le Parc is a pre-construction condo community slated to stand in Montreal's city centre. 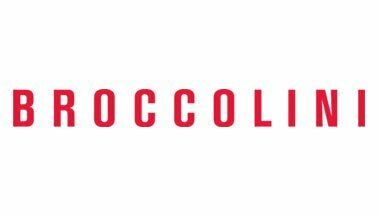 The development comes from industry giant Broccolini, and is projected to be placed at 700 rue Saint-Jacque with an accupancy date of 2023. It will be located by the intersection of Rue St-Jaques and Blvd Robert Bourassa. The mixed-use building is an incredibly ambitious project bound to change the pre-construction real estate market in this growing city. 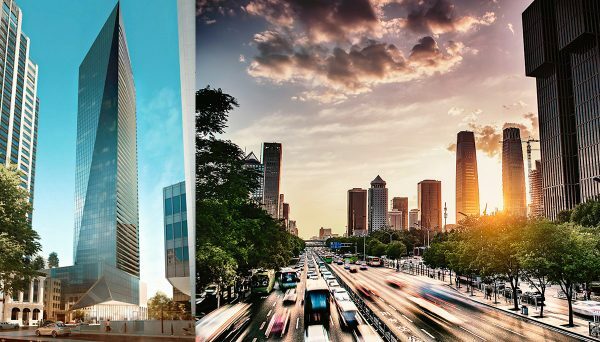 This grandiose, ambitious development is proposed to stand 56 storeys high, at 200 meters and counting. The tower is a luxurious project that is set to be Montreal’s tallest. The skyscraper will boast a stunning, modern design with glass panels and a contemporary aesthetic. The tower will peak at the top in the form of a triangle, making for an interesting look that is both innovative and perfectly suited for this city centre. The development will hold 400 units, including one-bedroom and two-bedroom units ranging from 400 to 800 square feet, as well as penthouses ranging from 1227 to 1796 square feet. A 10-storey podium has been proposed for the mixed-use building that is projected to host 300,000 square feet of office and retail. This space will be home to community seating, specialty shops, and cafes that will help establish a connection between the vibrant neighbourhood and its people. The podium will also host an exclusive list of indoor and outdoor amenities. 10,000 square feet of space will be dedicated to a state-of-the-art fitness centre, a rooftop terrace, an urban barbecue area, indoor and outdoor pools as well as a yoga and meditation room located near the steam room, sauna and hot tub. The building promises private balconies that offer stunning views of the Saint-Laurent river, and Montreal's iconic Old Port. Residents can also anticipate a park that is anticipated to sit between the project and the National Bank future headquarters. Other parks in the area include Square Dorchester, Place d’Youville and Place du Canada. This lavish and ambitious project is a transformative addition to the city on the rise. The time to invest in the bustling city is now -- and this tower is the perfect opportunity. Located in Quebec’s historical Montreal, this development also known as Victoria On The Park is set to revolutionize the city centre. The city, as of 2016 boasts an expansive population of 4.1 million, will a projection of reaching a population of 5 million by 2031. The development is centrally located in Downtown Montreal, steps away from shops, entertainment and career hubs like the Financial District. Business professionals are bound to flock to this location that in addition to being a walk away from job centres is also walking distance to the Square Victoria Metro Station that enables travel to all around Montreal. The structure is also right by the new new headquarters of National Bank (BN), which will call for more job opportunities for young professionals who want to live close to work in the centre of the city. Other headquarters in Montreal include Bombardier, Inc., Metro Inc., Via Rail, Aeroplan, Bell Canada to name a few. As of 2018, Montreal boasts its lowest unemployment rates ever. At 6.1%.this makes its unemployment rate even less than Toronto’s. Conversely, its employment rate has increased from 63.0 to 63.6 since 2011. Clearly, now is the time to work in the city -- and this development proposes a great home for those looking to set roots in Montreal’s working world. Students with roomates are also likely to be attracted to the two-bedroom units in the building. After all. 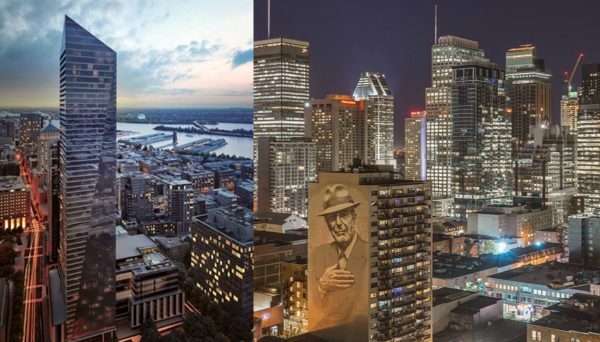 Montreal was named the best city for students. The site in particular is a short walk to the Mcgill University campus. As of 2017, McGill is home to 40,971 students. The school is widely regarded as one of the best in the country ranking number 1 of Canada’s medical-doctoral universities. They have maintained this ranking for 13 years. The tower borders Downtown and Old Montreal, two major centres that are known to attract tourists. Truly, this location will place everything Montreal has to offer at residents fingertips. Residents will have a cornucopia of restaurants and shopping options a hop skip and jump away from home. Between the nearby schools and entertainment, and the rising jobs, this is the ideal neighbourhood for professionals and students alike. Montreal is showing no sign of slowing down, especially in the real estate industry with such an expansive project in the horizon. This tower is the perfect opportunity to start to invest in the contemporary and ambitious cosmopolitan area. Broccolini is an award winning developer that is one of the Greater Toronto Area’s most prominent builders. They are the proud recipient of the Best Office Award at the 2015 Canadian Interiors Best of Canada Design Competition Awards. With projects in Quebec and Southern Ontario, they serve a wide scope of areas. They are recognized for their nack for teamwork, as they often choose to work beside their partners instead of competing. They boast a varied skill set, preparing them to take on a variety of responsibilities when building. This developer is one who is constantly looking toward the future, and their focus on green and sustainable projects is reflective of this.